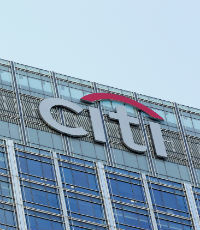 Bradford Hu became Citi’s chief risk officer in 2013, shortly after the appointment of CEO Michael Corbat, whose leadership has been credited for significant improvements in the bank’s financial health and risk capacity. Previously, Hu was chief risk officer for Citi’s operations in Asia, where he was responsible for tracking risks across the consumer and institutional clients businesses. He also previously headed the Asia risk management committee and served as the primary contact for the regulators in the region.